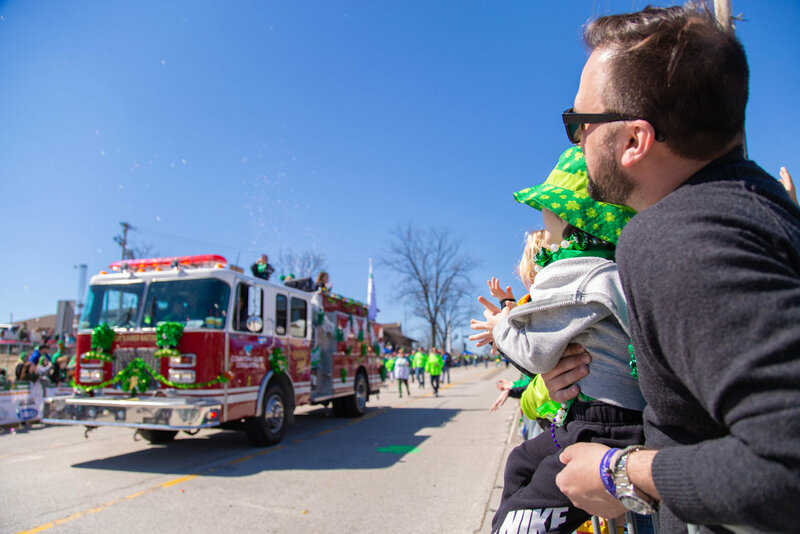 The Shamrock Parade will begin at Noon and the route runs down Highway N from Warren Elementary to Francis Howell Central High School. The roads into town will close for the Shamrock Run and will reopen for a short time before the Shamrock Parade begins. 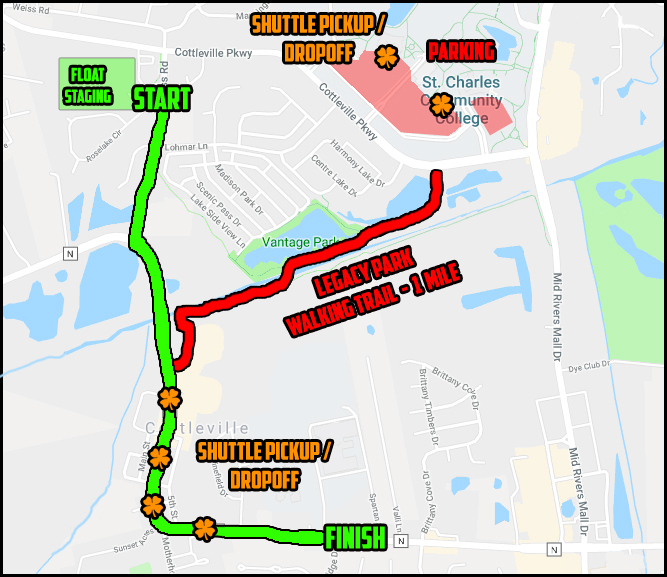 For more information on parking, shuttles, and times please follow the link below. There will be approximately 85 floats & walking groups. The Shamrock Parade should end shortly after 2pm and the streets will reopen to shuttles and other vehicle traffic. Families with young children may find the portion of Highway N near the high school to be more controlled. Food/beverage coolers, chairs, and other portable items are welcome. We ask that all of our attendees be respectful of the town, our citizens, and our business community. Please clean up any trash that you generate and do not set popup tents or chairs in walking paths or sidewalks. Law Enforcement will be in the crowds enforcing local ordinances. Please make good decisions and be mindful of the many families that attend our event. Disorderly conduct will not be tolerated and unattended items may be removed. Are you a resident looking for travel pass information? 2019 Float Registration is now closed. “2019 marks a new beginning for our community’s parade. You will notice significant changes to the fee structure for parade entries. There are very good reasons for these big changes. In previous years, this parade has lost revenue in excess of $35,000. We are driven by the desire to raise money for our charitable mission. Without significant changes the event will cease to exist. The safety of the event and the entire day is priority #1. We MUST utilize barricades to help prevent a tragic accident. The barricade cost is negotiated and kept as low as possible, but exceeds $25,000. We also pay for police officers to assist with traffic control and safety. Additional law enforcement costs the event approximately $20,000. This year, we are working to lower that cost through efficiency, but we will not cut corners in regards to everyone’s safety. All applicants are REQUIRED to submit a copy of their Proof of Insurance and the driver of the floats Driver's License at the Mandatory Meeting. 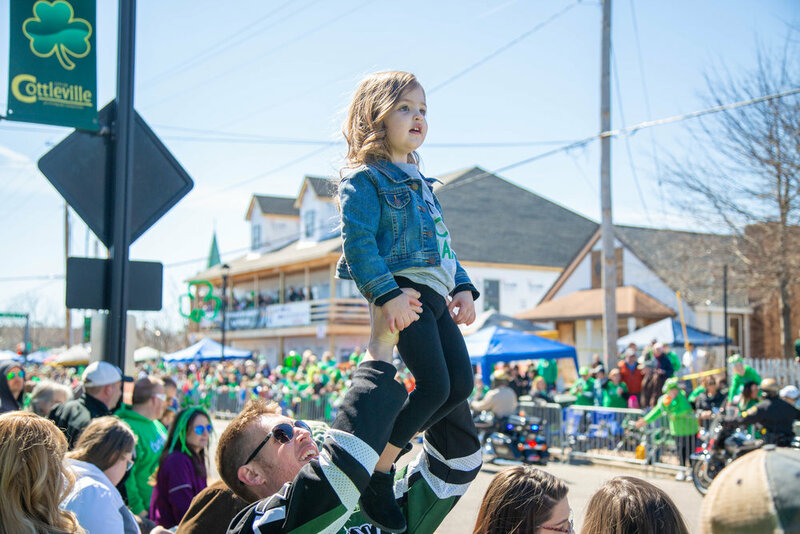 Any Float Entry that does not turn in the Proof of Insurance and Driver’s License at the meeting will not be given their Parade Packet and will NOT be allowed in the Parade. No late submissions will be accepted. Any application turned in without the application, waiver and check will be returned. Accepted Entries will be notified via email approximately 1 month before the Shamrock Parade.